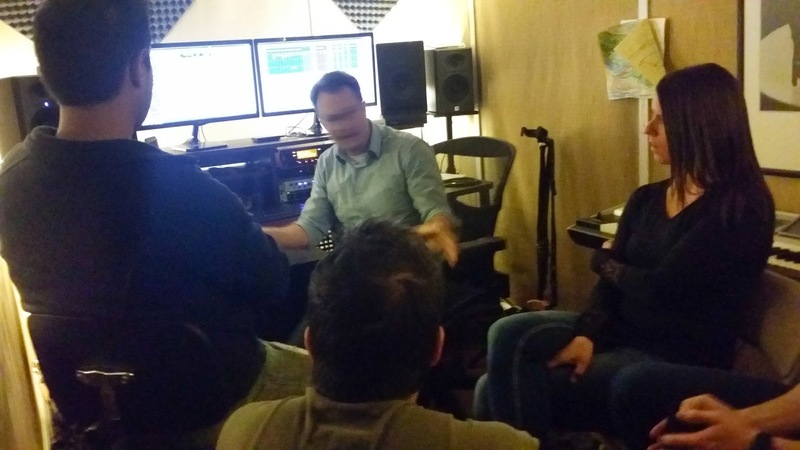 Eighth Day: Whole band goes to studio to listen to final mix, and special announcement! Whole band goes to studio to listen to final mix, and special announcement! 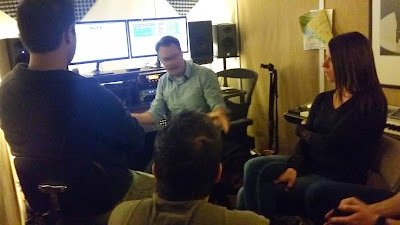 Steve, our producer at Full Fidelity Studios had the whole band and listen to his final mixes one final time to see if we where happy with them. They sound so good, and make it worth the wait! Allison's vocals and harmonies are incredible, Nate's solos are out of this world, Mark's bass is solid, and Aaron's drums are tight and flavorful, and I don't sound too bad myself. We are really pumped and can't wait to release this CD. We are going to release a single later this month! Or early next month, to give you a flavor for our music. It's so hard to choose just one, because they're all awesome.